Are you ready to get a website that attracts the RIGHT clients for your business? Learn the 5 things every great website should have by downloading our FREE guide. We’re Barbara & Mark. We help small business owners and entrepreneurs like you get beautiful, easy to use websites that help grow their business. Let’s work together. Over the years, we’ve invested in a lot of different things for our business, but by far, the best investment we’ve made was photography. When we decided to rebrand our company back in 2016, we spent $400 to hire professional photographers to take brand photos. These are photos that we use on our website, social media channels and in our marketing materials. We believe anyone starting a business should invest in professional images for their brand and website. Think about the last website that you visited that really impressed you. What was it about the website that made it stand out? Likely, it was the professional images used throughout. Photos are a huge component of branding, but one that often gets overlooked. Using professional images throughout your website, social media channels and marketing materials will help elevate your overall brand message. Your audience can tell the difference between images that were taken specifically for you vs. generic images from a stock photo site. Using brand specific images helps create consistency and connect with your ideal customers. So, you’re saying I can never use stock images again? It’s definitely okay to use stock photos for some things, but it’s important to make sure that those photos fit within your branding. When choosing a stock image, try to stick to photos that have a similar theme and colors to what your brand looks like. What if I don’t have the money to invest in professional photos right now? 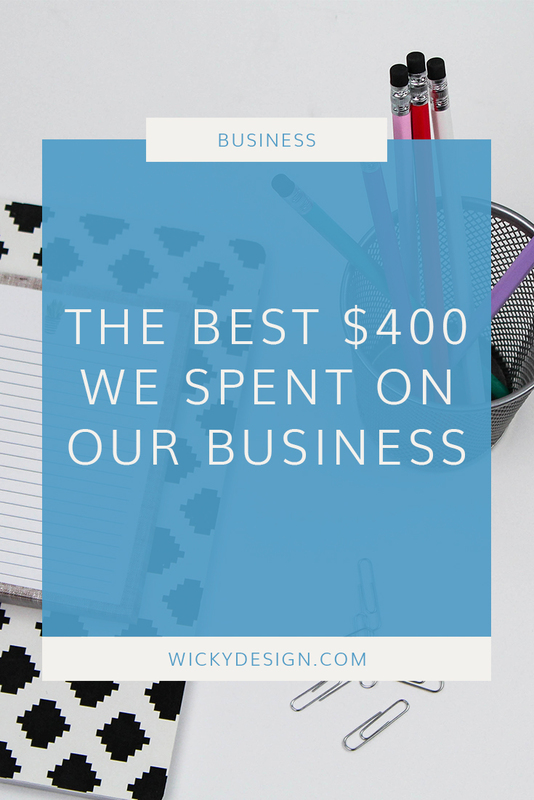 If you’re just starting out in business, investing $400 or more in professional photography is a lot. We get it. So what can you do if you don’t have the money right now? One option is investing in your own light kit. You can get a decent starter kit on Amazon for about $175 (this is the one we bought) and start taking your own photos. It’s not as high tech or high quality as what a professional would have, but it’s a good option if you’re just starting out. Plus, you’ll be able to use it over and over. Option 2 – use your phone! The cameras in phones nowadays are incredible, allowing you to get good quality photos without investing in a pricey camera. If you are using your phone, be sure to take photos where there is good lighting so they come out nice and bright. Go outside or take pictures beside a window that gets good natural light. Whether you’re taking the photos yourself or investing in a professional, it’s important to plan ahead to make sure you get what you need. Start by thinking about where you want your photos. This will help determine the orientation, how to pose and how to style the photos. Photos on your website will likely be horizontal, especially if you want an image background. If your photos are for Instagram, they will be squares. Planning ahead helps set up the shot so important aspects don’t get cut off. Get Inspiration. Get a Pinterest board together or start saving photos off Instagram of styles that you like. You can send this to your photographer so he/she gets a good idea of what you’re looking for. Getting professional photos for our business was one of the best $400 we have ever spent! We hope this post gave you some insight on why brand photos are important and how they can strengthen your overall brand. Ready to get started with professional branding? Contact us today!